Soft waxed fibers! remove plaque near gum and between teeth thoroughly without hurting gums. 384 fibers (expandable type) remove sub-gingivalpletely at once. Fibers will swell when contacting with saliva and remove plaque efficiently! fibers will softly spread when contacting with saliva. Even when sliding into adjacent surface, these fibers will not hurt gums while still remove plaque thoroughly. 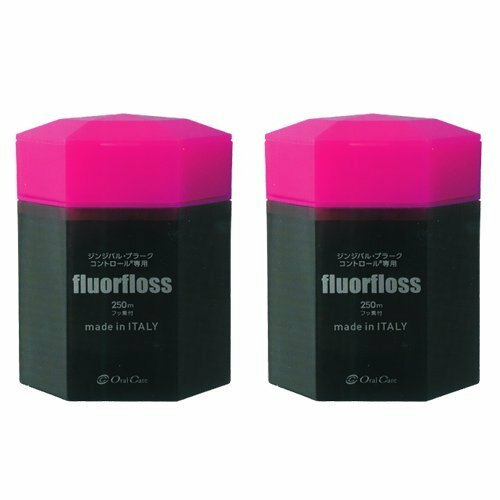 On average, people who use fluorfloss can remove up to 70% of plaque - an outstandingly high cleaning effectiveness. Remove plaque effectively! Fibers will swell when contacting with saliva and remove plaque efficiently!